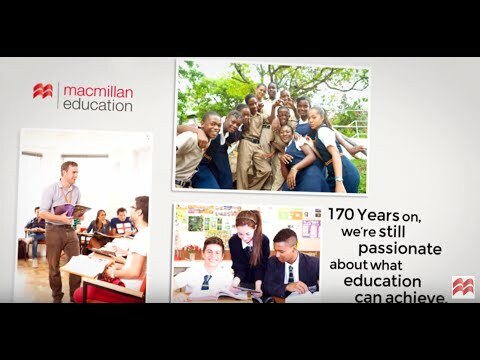 At Macmillan Education we help learners around the world achieve more. We support students, teachers and institutions through a lifetime of learning by providing them with world-class content in the most relevant, engaging and flexible formats. Macmillan Education is a global publisher with a local presence. You'll find us operating in over 120 countries worldwide, but our global vision does not take away from our regional focus. Working locally allows us to get close to the people who matter - the students, teachers, institutions and educational authorities who use our products and with whom we've developed real and lasting relationships. Today, Macmillan Education is a name synonymous with high-quality publishing around the world. From pre-primary through to adult learners and business professionals, we provide for teachers and students at every stage of the learning journey. We are one part of a large, diverse publishing family, with sister companies across many areas of the science and education industries. The depth and breadth of our publishing allow us to share expertise and experience in order to create the best possible products and resources.